The Desert Road, the notorious highway from Turangi to Waiouru is populated by volcanoes and gorges. It is easy to pass through this area and miss the hidden biodiversity among the monochromatic browns. But here, extremely visible examples of effects from invasive species on natural ecosystems can be seen. This region, historically covered in beech forest, was periodically burnt down by colonisers. The fires reduced the quality of soils and vegetation, until only the shrub and tussocklands that so define the current landscape could survive 2. This new terrain created opportunities, and pioneers decided the region would be perfect for rich visitors to hunt grouse 3. Heather (Calluna vulgaris), the typical habitat for grouse in their European homeland, was introduced to the region in 1912 3. This was highly successful, but just before grouse were brought in, the plan was abandoned. The only legacy being the environmental impacts of heather, one of the most invasive species in the country 4. 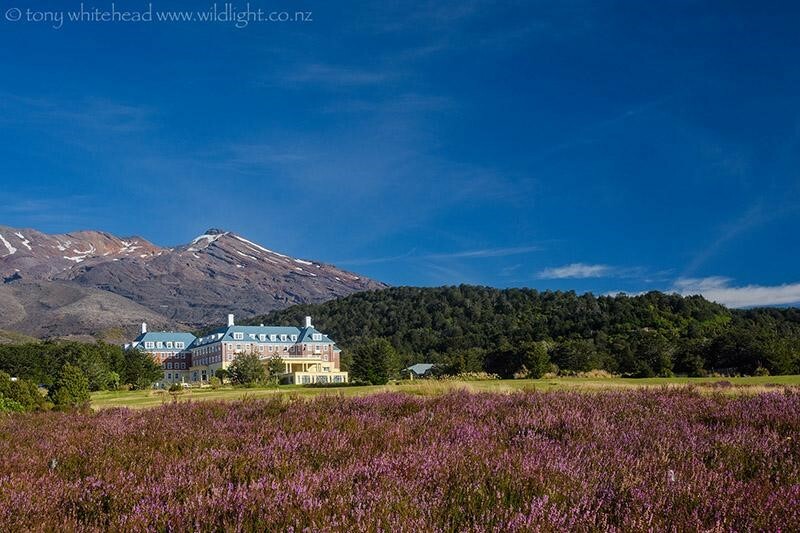 At the end of summer, the bland colours of the Tongariro National Park are hidden by a magnificent sea of purple. This vista is only disturbed by the knowledge that this purple is the reproductive success of heather, flourishing in this incredibly harsh environment. Heather is a phenomenal plant. It has a massive seed bank 6(meaning that it produces numerous viable seeds and they’re underground everywhere), it can regrow from roots if the top is removed or burnt 7, and the plants can even grow above 1500m elevation 3. Although with ongoing climate warming, these plants will continue to advance up the slopes, invading untouched vegetation. These characteristics, developed for being an amazingly rugged species in their native highlands, give them a massive advantage against the local native species, and make it almost impossible to remove from the ecosystem. Heather is very flammable, and highly adapted to recovering after scrub-fires, whereas very few native species are. This susceptibility means that fires are much more frequent, and native species never get the chance to recover, as when they reinhabit post-burn, heather has already established itself as a dominant species. Although heather is not the only invasive plant species in the region, it is one of the most damaging, and has the greatest unmanageable effect on the entire ecosystem. Grazers in the National Park also play their part in degrading native flora. 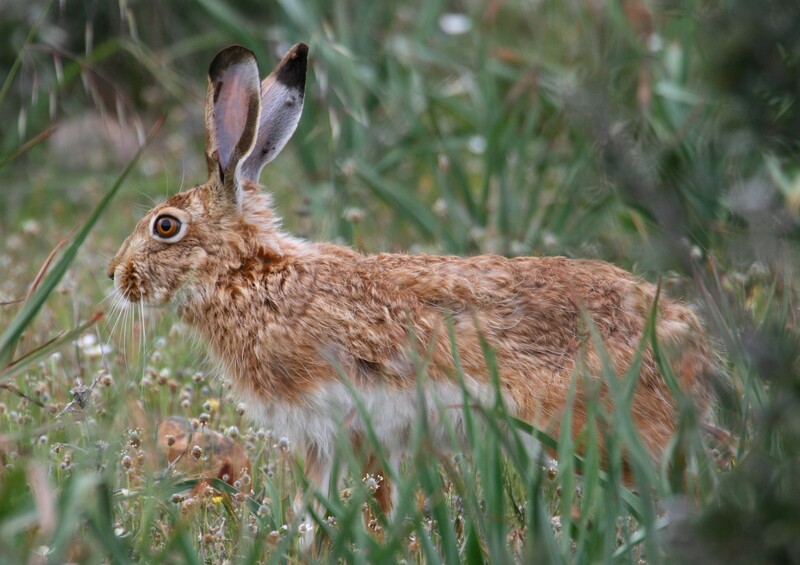 Rabbits, hares, goats, deer, horses and pigs are all present, and together are one of the most significant inhibitors of natural succession 8(the process of becoming more matured). The introduced and invasive species of both flora and fauna, have a devastating effect on the natural ecosystem of this iconic expanse. Conservation is hard here, with harsh elements and low accessibility, but for the most part species are kept in check. The exception is heather, for which there is no substantial eradication efforts. 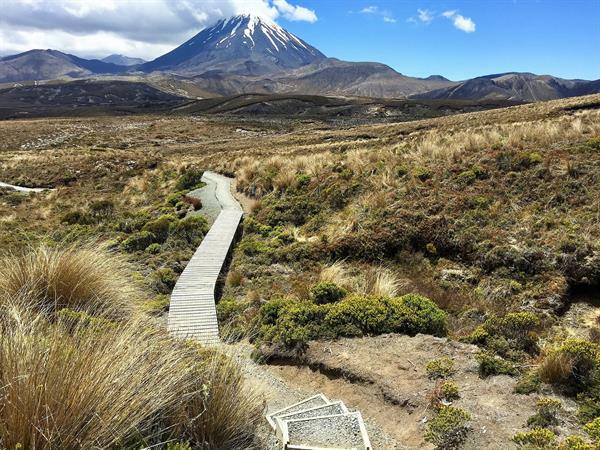 Conservation is difficult for reestablishment of forests, as there are parties that argue for the distinguished tussock scenery that is a dominant attraction, and tourist draw-card of the country. It is in this that we have to make a decision on how to push forward with doing what is right for the land and for the future. Rogers, G. M. (1994). North Island seral tussock grasslands 1. Origins and land-use history. New Zealand Journal of Botany, 32(3), 271-286. Rogers, G. M., & Leathwick, J. R. (1996). North Island seral tussock grasslands. 3. The influence of heather (Calluna vulgaris) on rates of change from tussock grassland to shrubland. New Zealand Journal of Botany, 34(4), 473-487. Chapman, H. M., & Bannister, P. (1995). Flowering, shoot extension, and reproductive performance of heather, Calluna vulgaris (L.) Hull, in Tongariro National Park, New Zealand. New Zealand Journal of Botany, 33(1), 111-119. Perry, G. L., Wilmshurst, J. M., & McGlone, M. S. (2014). Ecology and long-term history of fire in New Zealand. New Zealand Journal of Ecology, 38(2), 157-176. Jauni, M., Gripenberg, S., & Ramula, S. (2015). Non‐native plant species benefit from disturbance: A meta‐analysis. Oikos, 124(2), 122-129.